Being inspired by nature may help to provide a design direction, but it is the details that pull the space together. 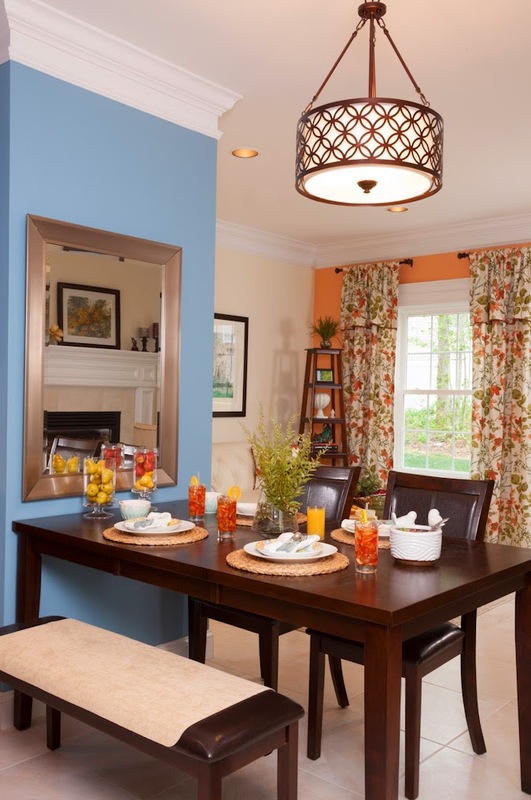 In this project, paint, fabric, accent pieces all work together to create a cohesive space. Your space doesn't have to be green and brown to be inspired by nature - nature is full of color and contrast. Once you embrace the inspiration, the pieces all seem to fall in place. The blue in the wall paired with a mirror give a sense of water in both color and reflection. The wood of the table and even the abstract floral pattern of the pendant help to bring in all of the natural elements. 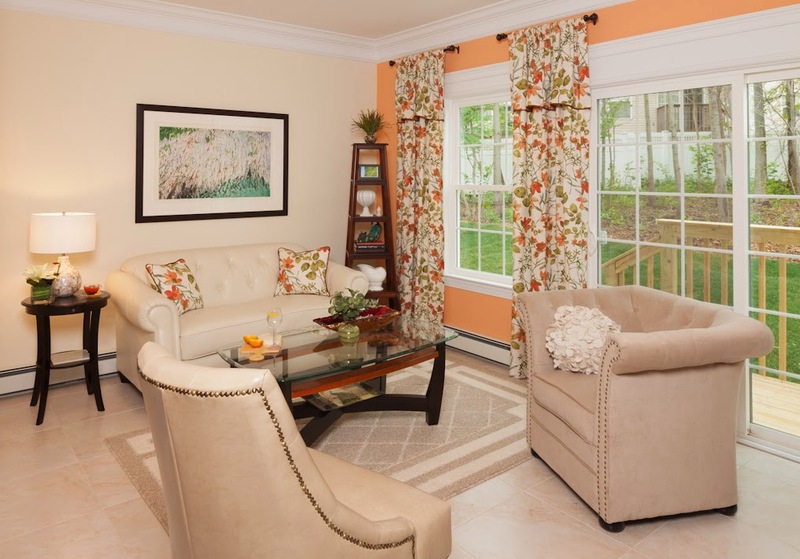 By keeping the furniture fabrics neutral and adding a pop of color to the window wall, it draws the eye to the outdoors. Subtle accents like the floral fabric of the drapery, plants and abstract nature painting help to remind you of the overall inspiration. 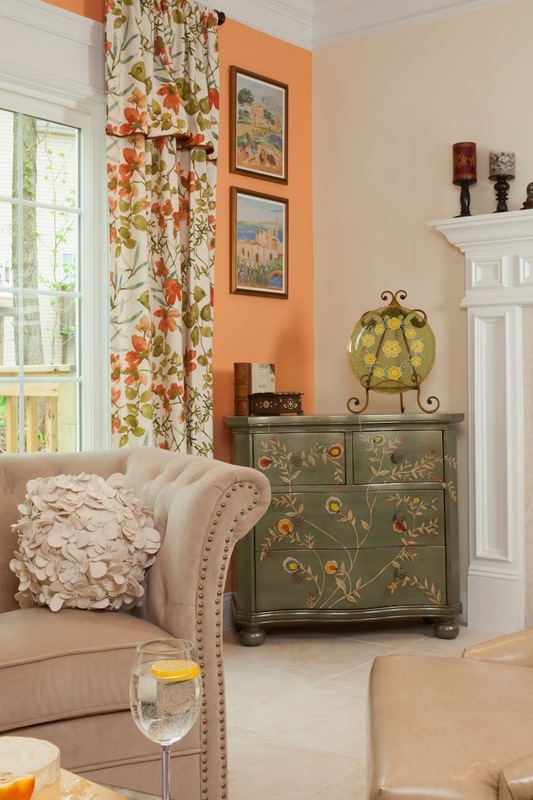 This green, vine painted chest is a great accent piece that goes great in the space. The whimsical floral ball pillow is a crowd favorite. The artwork on the wall depicts outdoor scenes. 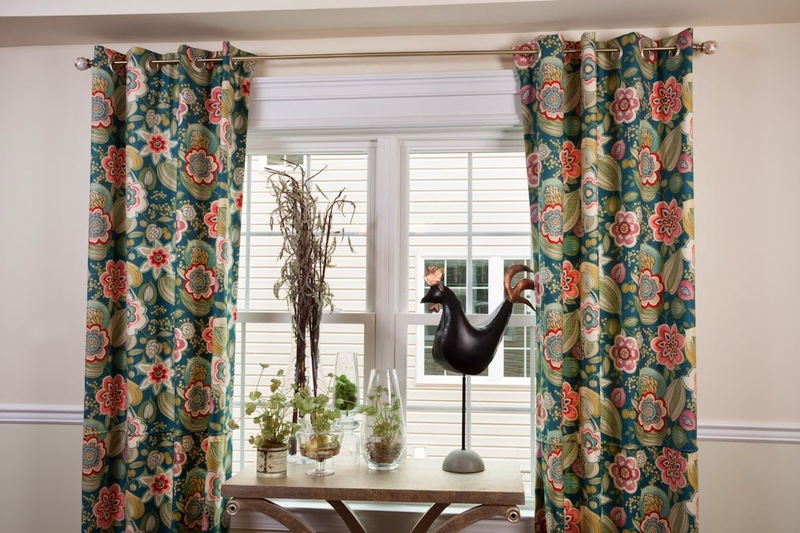 For this smaller area, we used a differenc floral fabric pattern that has a more bold color palette to help frame the window. Adding plants and a fun rooster statue help to mask the view a bit while still showcasing our nature inspiration.